Small decorator waste baskets are an excellent choice for areas where a large waste basket won't fit due to space and design considerations. When you need a discreet trash receptacle, choosing a small waste basket is a good solution. If you use a decorated one, you can introduce an additional design element into your room. Large waste baskets often dominate a room or area of a room. Having a small waste basket in every room provides a convenience whenever you need to throw away a piece of paper or some other trash. If you have a waste basket nearby, it will save you time going form one room to another just to get rid of a small piece of trash. While you have less space to place waste in a smaller waste basket, chances are you won't have that much trash in your den, office or bedroom. The biggest areas of waste disposal in your home are typically your kitchen, laundry room and main bathrooms. The first thing you need to do is to determine which rooms would be served by adding a small waste basket. The next is deciding where to place it in your room. While it may seem like an obvious decision, many times determining the placement of your waste basket isn't easy, especially if you have a large room. 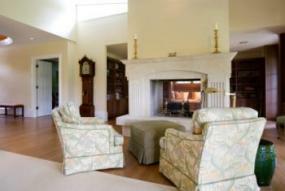 If you have a large den, you may find it more advantageous to have two waste cans than a centrally located one. Just like the larger trash cans, small waste basket come in various shapes, sizes and styles. Some of the more popular ones have decorative edgings and artistic shapes. These shapes can be in the form of another object. Some of the popular shapes include scalloped, tulip, cylindrical, conical, and many others. Deciding on the style of your waste basket can offer you the opportunity to add a decorative design element. No one enjoys emptying the trash, but everyone likes having the convenience of a place to toss a candy wrapper, used up ink pen, and other household waste without traipsing through the house to the large kitchen trash can. A waste basket is a utilitarian object but if you select a decorative one, it can serve two purposes. The first is obvious - to camouflage the fact that it's a receptacle of trash. The second purpose is to add a decorative object to your room's décor. Adding a decorative trash can to your room's décor; helps lessen the visual effect of its true purpose and what it contains. It's a great way to repeat the colors and design of your room's interior, especially if you have a theme-based design. There are many kinds of materials used in the construction of decorator baskets created just for trash cans. A ceramic waste basket can brighten up a child's bedroom or add an elegant touch to a reading area in your study. Ceramics can have a glossy or mat surface and range from assembly line styles to hand-crafted and hand-painted small works of art. This is a very popular choice for dens, studies, offices, half-baths, and other rooms in your home. The wood basket can be plain or carved with motifs that repeat your room's design elements. You can find very functional types of wood waste baskets to very ornate ones. The advancements in technology make it difficult to tell the difference between a wood grain plastic waste can and the real thing until you actually pick it up. The same thing can be said for just about any other kind of finish that is can be made in plastic at a fraction of the cost. By choosing a few plastic receptacles you can then splurge on a more extravagant decorative one for the den or your bedroom. Resin is lightweight and has the ability to be molded and painted to resemble almost any kind of surface finish. It's impossible to distinguish between a resin object and the real thing until you examine it very closely. A time-tested design choice, decoupage can create a feeling of nostalgia and add a homey touch to your décor. 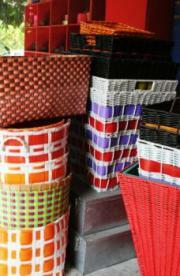 Mosaic waste baskets can range from the very primitive to a designer quality. The choice is up to you and what will look best in your room. These come in different colors, designs and are great for a modern or rustic décor. One of the most expensive choices you can make is leather. A truly elegant design for a study or office, the choices for leather textures and colors seem limitless. Wicker and woven straw baskets are durable and functional. Wicker is a versatile finish that easily mixes and blends with other styles. 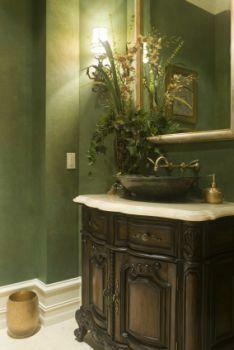 You can choose a white or brightly colored and decorated one or opt for a darker finish. Many come in tri-colors where the artistic weave and patterns are shown off. Below are a few online sites offering unique waste baskets. You have an endless choice of styles and designs for small decorator waste baskets and should have no trouble finding the perfect one for your room.